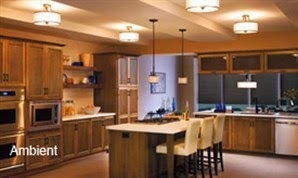 Enlightening (Residential Lighting Blog): LED Seminar ~ Earn CEU credits! LED Seminar ~ Earn CEU credits! Our speaker is Jeff Dross from Kichler Lighting, currently Corporate Director of Education and Industry trends in residential lighting. He also serves as trends analyst and often-quoted media spokesperson. Jeff understands that the face of residential lighting is ever changing and has been involved in a number of industry roundtables that are working to plan for the future.